San Francisco is a commercial, cultural, educational, and financial centre –arguably one of the most cosmopolitan of American cities. The city is full of history and vibrant atmosphere. From hippies to prisons and parks, seafood to shopping and art to architecture, San Francisco has it all. Take a stroll over the famous Golden Gate bridge or jump on one of the trams rolling up and down the steep streets. 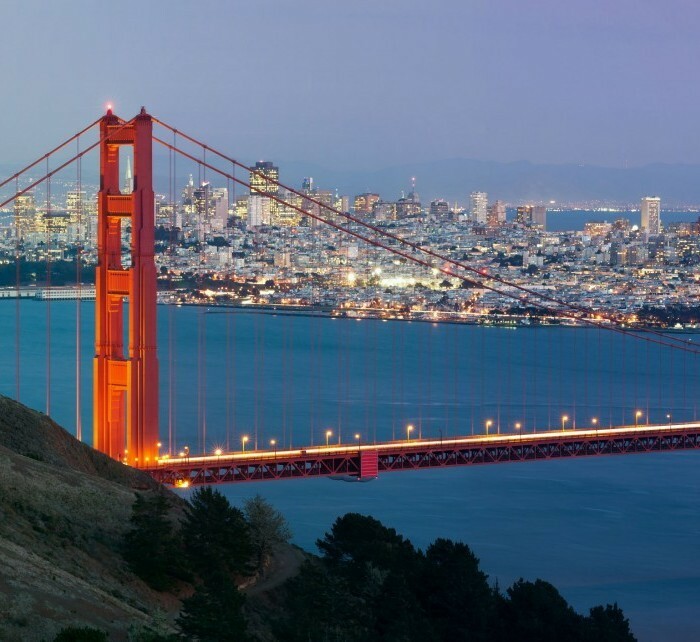 Book cheap flights from Brussels to San Francisco with Abitsky.com. We offer low cost airlines tickets such as Wizzair, Ryanair as well as traditional airlines tickets. The informational table of direct flights contains the information about the cheap direct flights from Brussels to San Francisco organized by the airlines. The flight schedules of the airlines help to plan a trip in a easy way and find the cheapest flight from Brussels to San Francisco. Knowing the low cost airlines‘ schedule from Brussels to San Francisco, you may perform a more detailed search for the cheapest flights. While selecting the flight, Abitsky.com suggests paying attention to the flight schedules of the low cost airlines such as Ryanair and Wizzair. Normally, the low cost flight airlines operate low cost flights on business days; therefore, while searching for the cheap flight tickets, it is important to select the flights operated in the beginning and end of week. To obtain the cheapest flight tickets, it is recommended to book them not later than 6-8 weeks until the date of flight with the low cost airlines.